The name is a giveaway – coffee is the lifeblood of Wedge Espresso. This new Glebe cafe also does a fine sideline in other sip-worthy drinks: there’s the Ice Milo ($5), with its crunchy landmass of malt grains afloat milk and ice-cream. At the bottom is a genius ground-level layer of Milo – so there’s a chocolatey jackpot of flakes that greet you once you’ve tipped everything else down your throat. 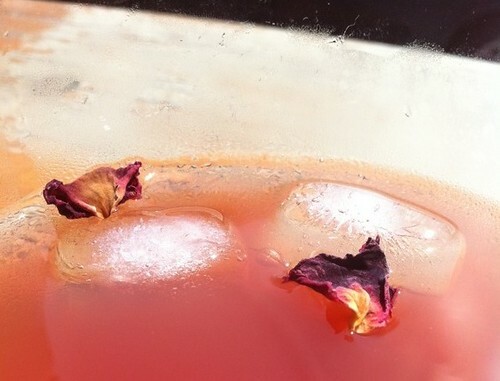 There’s also an elegant ice tea, which is as blush-pink as the rose petals in it, and is a subtle mix of Ceylon orange pekoe, hibiscus and silver jasmine. And in the experimental stages is a cold-drip coffee mixed with a Coke slushie – yes. Even though it sounds like a total caffeine bomb, I happily said yes to a sample I was kindly given. Cafe owner Toby described it as tasting like Chinotto. And even though I am not an Italian old man (they were the only ones who bought the drink when I used to work in a Haberfield corner shop), this comparison appealed to me. After some “brave” sips, it turned out the coffee/slushie combo was not so madcap. I dug the cool, bitter flavour. 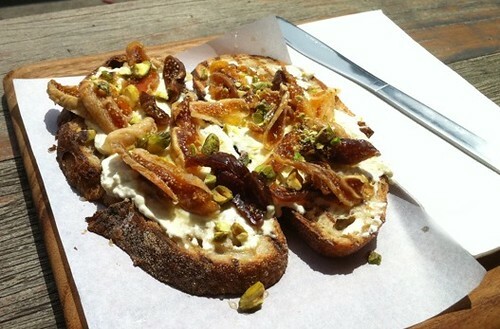 You can also trust Wedge Espresso to do good things with a slice of bread, as its Shaved Dried Fig, Pistachio and Ricotta with Rosewater Honey on Fig Sourdough ($9) proves. It’s a gorgeous breakfast item – light and sunny-day compatible. 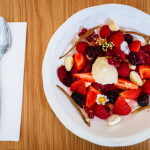 The Brekky Bruschetta special, with its jumble of strawberries, pistachios, dates and ricotta on top of banana bread sounds like something worth slicing up, but sadly was unavailable when I was there – it’s gonna be drafted back onto the menu soon, though. I admit, I was guilty of judging on first sandwich appearances, as the vego option didn’t seem as exciting as the meaty ones (Pulled Pork with Plum Sauce, Spring Onion, Mint and Coriander; Lemon and Sage Poached Chicken with Avocado, Rocket and Mayo), but the pared-back combination of tomato, basil and airy ricotta dressed with olive oil and lemon, toasted, turned out to be really lovely. I’m glad that Wedge Espresso ended up in Glebe instead of the initial location of Surry Hills, a suburb that is unlikely to ever suffer a cafe drought. This place is, as the name suggests, as narrow as a doorstop, but has lots of diner-charming appeal: the large, open windows that allow you to stretch out your elbows and bank up on generous doses of sunshine; the cute pots of thyme decorating the tables; the industrial fit-out with bright-red pipes and corrugated walls (the rustic stools, incidentally, are Ikea staples slicked up with a coat of leftover paint from the pipes). 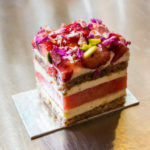 And this cafe has good cred, the owner used to be at Le Monde in Surry Hills and one of the (much-recognised) baristas is from Luxe Espresso in Newtown. 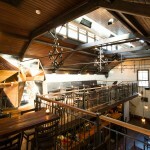 It’s another worthy place to spend breakfast – and other meal/snack/drink-sipping times. 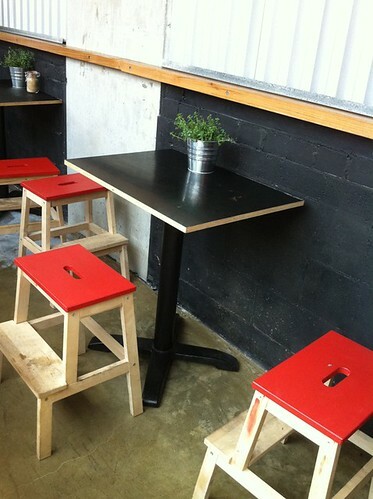 Wedge Espresso, 53-55 Glebe Point Rd, Glebe (enter on Cowper Street). 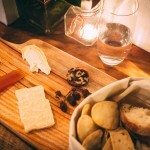 Follow Wedge Espresso on Twitter. love this place! went there a few days ago. had the chicken sandwich which was amazing! can’t wait to go back for more! Oh… your description of Ice Milo gave me flashbacks of a Milo ice cream shake I had once back home. 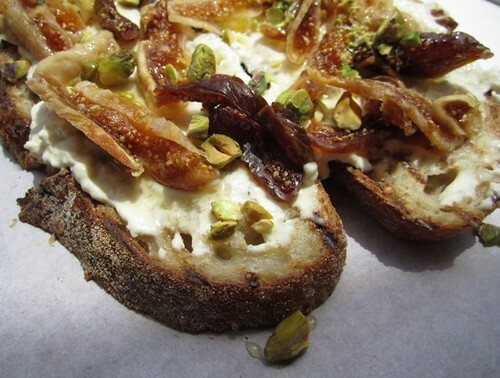 That fig, pistachio and ricotta toast topping looks delicious. 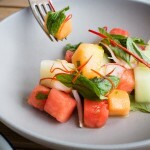 oo this looks great i def want to check it out and maybe at the same time check out clippers cafe too i love glebe!